#AskAlan mailbag: Can pros ever recover from cheating allegations? Ah, July, maybe the best month of the year: Ballyliffin, Gullane, Carnoustie…just typing those evocative names makes me smile. And let us not forget the fifth major, the John Deere... If social media is such a great way for players to interact with fans, why are so many players insufferable? [email protected] Social media reveals people for who they really are far more effectively than formal press conferences or scripted ad campaigns. The intimacy of social media is unparalleled for getting to know players. That doesn't mean you're going to like what you see. In a gentleman's game, how badly is Sung Kang going to get blackballed by his peers after a playing competitor went as far as calling him a cheater & even let Ben Crane play through the group to continue to argue what he knew was right for the integrity of the game/field? #AskAlan -Chris (@ctimmerman) Put it this way: Vijay Singh's own episode involving the c-word happened three decades ago and it still haunts him. And that was without social media and Zapruder-esque ShotLink illustrations to amplify the misdeed. Kang is going to get a lot of side-eye from his fellow competitors and a lot of media heat. His initial no comment stance probably can't last. How Kang explains himself, and if he shows any contrition, will influence if any of his colleagues forgive. But they certainly won't forget. 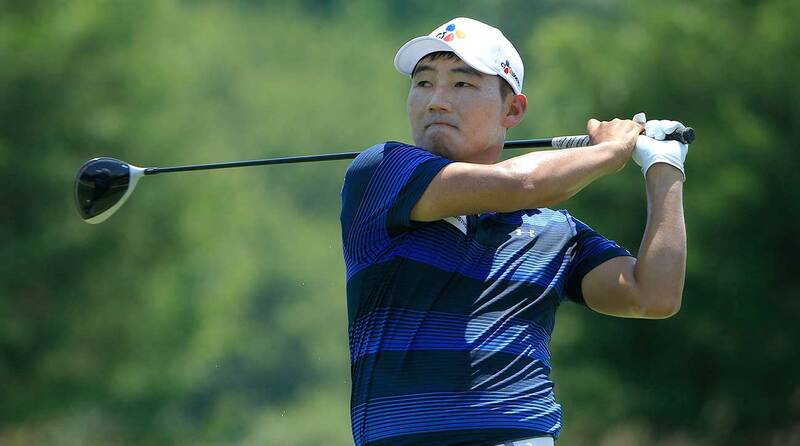 Sung Kang was accused of cheating by his playing partner during the final round of the Quicken Loans National. He finished third and earned a British Open invite. Probably late to the party, but with Molinari's romp over a stellar, er, subpar field it's the obligatory Euro Ryder Cup mention, yada yada... #AskAlan [email protected]_Long Yes, the European Tour stans are up in my Twitter mentions, as always. Their stridence is misguided — I've been a Euro fan for two-plus decades. In fact, in 1997, when various U.S. golf publications were calling the American Ryder Cup team unbeatable, I wrote a snarky column for SI predicting a European victory. Guys like Tom Lehman and Mark O'Meara still give me a hard time about that one. I've long been fascinated by the Molinari brothers and how differently they play the game — Frankie being a preeminent ball-striker, as we saw at the National, and Eddie possessing a dazzling short-game. I enjoyed Molinari's performance, and was equally impressed by Alex Noren's gritty win in France. It's easy to get wrapped up in short-term bursts of form but things change dramatically in just a few months: In April, Brooks Koepka was a question mark at best, now he figures to be a stalwart. You can go down the list for both teams but the Ryder Cup is still three months away and we have two majors, a WGC and the FedEx Cup to play – a lot of fortunes will change, so it's too soon to render a judgement about which team is in better form. Molinari and Noren are both now virtually locks to be in Paris and they will be assets but they (both 35) are not the future of Europe. This gets back to my central argument: the core of the U.S. team is in their 20s while the European stalwarts (save Rory) are pushing 40. Even if the Americans don't win this year – I still expect them to – I'm quite confident my column predicting long-term U.S. dominance will still look good a decade from now. Which means, gulp, we have another 10 years to debate this daily on Twitter. How far down the standings must Tiger be for Furyk to leave him off the Ryder Cup team? -Gordon (@fofop05) As long as Tiger doesn't blow out his back he's on the team no matter where he stands on the points list. Love the ShotLink phrase "to native area" as shorthand for a mile left or right. Amazing TWoods finished T4 with as many tee shots as he hit "to native area." Maybe we need to embrace the mallet putter? -Ron (@PressingPause) The flip side to this is that Tiger's iron game was terrific and he made a bunch of mid-range putts, both of which will be crucial factors at Carnoustie. The importance of the mallet transcends how he putts with it for a few tournaments. It is indicative of a larger shift in Tiger's thinking/being. In the old days he could never admit weakness; thus, even at his nadir, he couldn't deviate from his Terminator-like programming, and would still mouth platitudes that victory was the only thing that mattered even when he was struggling to break 80. Going to the mallet was Woods admitting to himself that he's having a problem with his putting and he needed a change. That alone is a victory and makes me confident he will figure it out sooner rather than later, now that he's more open-minded and honest with his self-assessments. MORE: 10 putting truths from short-game guru Dave Pelz On a scale of #LiveUnderPar to These Guys Are Good, how gimmicky is the name change for the Greenbrier this week? [email protected] This might be the greatest bad/good continuum I've ever come across. Anyway, like all Americans I'm thankful for the service and sacrifices of our military, but I'm not sure what the heck that has to do with a golf tournament. "A Military Tribute at the Greenbrier" is way too narrow of a focus. A Tribute to Freedom at the Greenbrier would have been more inclusive and dovetailed perfectly with the Fourth of July festivities. If they really want to wave the Stars and Stripes, how about A Tribute to American Golf at the Greenbrier? Given Sam Snead's long affiliation with the place, that could have been really cool and it's about, you know, golf. #AskAlan Justin Thomas played 4 solid rounds in Paris and was able to avoid the drama of a very difficult course unlike Jon Rahm and Sergio Garcia who finished in the drink on 18. What do you take from Justin's trip? -Yannick (@Ycochennec) It was a very cool move by JT to go over there and scout the Ryder Cup venue. I have no doubt that Furyk, Phil and Tiger will do a thorough debrief. And while Thomas's flattery of the French fans didn't endear him to the boys at Barstool it certainly can't hurt for one of the U.S.'s top players to go on a pre-Cup charm offensive with potentially hostile fans. But the biggest takeaway from Thomas's fine performance was that there might be more room on Le National for the freewheeling American bombers than was previously thought. That could be a big deal. Wouldn't Phil and Bryson be a logical fit for the Ryder Cup? They can nerd out and Phil has always loved taking younger/newer guys under his wing (AK, Bradley, Rickie, etc...) -Chris (@fancyfeet4) One time at the Crosby Clambake, Phil was on Pebble Beach's practice putting green, just down the hill from the 1st tee. I was standing right there, and he wound up in such an animated conversation with Ian Baker-Finch about space exploration Bones had to run down the hill and whisk Phil to the tee so he wouldn't be penalized for being tardy. I recently replayed this anecdote to Mickelson and he went on a long riff about black holes and time travel. After a few minutes my eyes began to glaze over. All of this is to say that, yes, I think he and Bryson are perfect for each other.